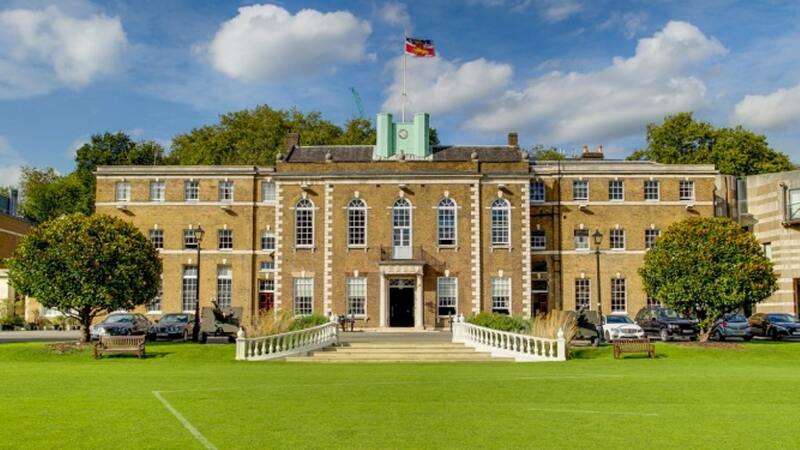 Armoury House is the home of the Honourable Artillery Company, one of the oldest military organisations in the world. The central part of the House was built in 1735 and two wings were added in 1828, and further additions made up to 1901. The cricket ground forms part of the “Artillery Garden” and sits in front of the main house, overlooked by tall office blocks and flats of the City of London and surrounded at ground level by a variety of young trees. Originally a venue for archery training, the Artillery Garden has hosted cricket for around 300 years, and it formed the take-off site for the first balloon flight in England in 1784.